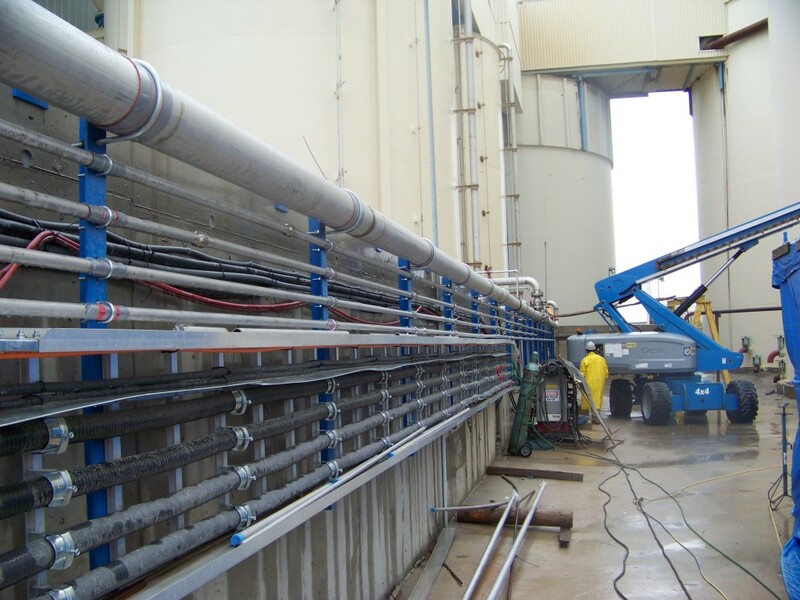 O2/SO2 Piping – approximately 1100 feet of stainless steel oxygen piping was installed in accordance with ASME B31.3. 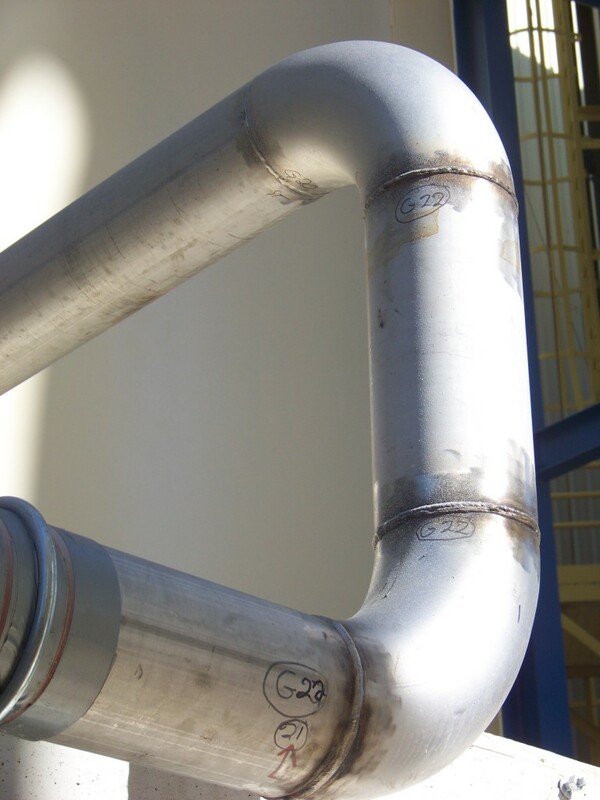 Approximately 1400 feet of stainless steel sulphur dioxide piping was also installed in accordance with ASME B31.3. 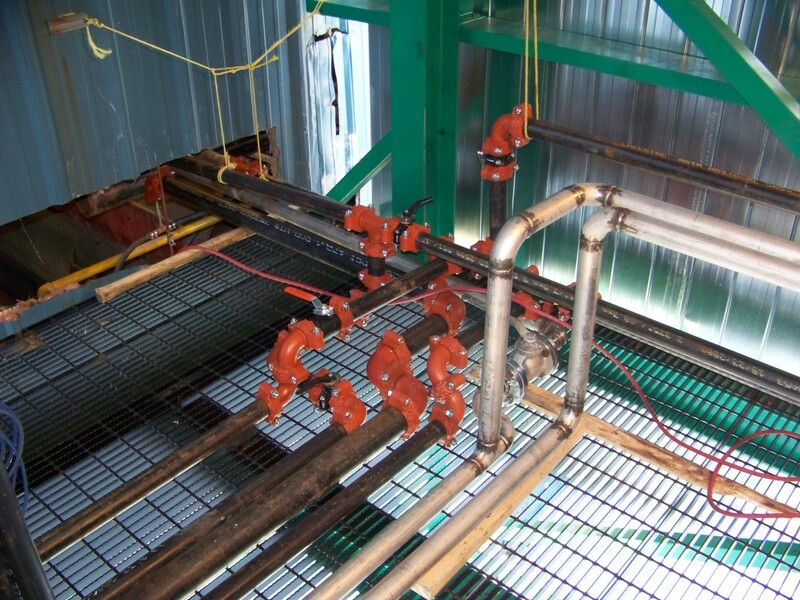 All piping was degreased and welded using GTAW. Pipe sizes ranged from ½” diameter to 6” diameter. 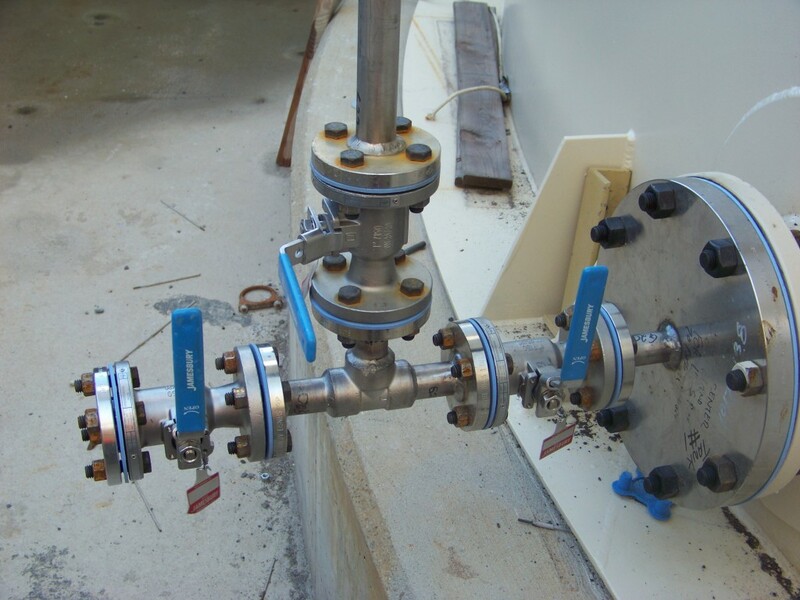 All piping was subjected non-destructive testing and examination. In addition to this contract Gorf was contracted to register with TSSA a 8 foot diameter by 40 long S02 holding tank. 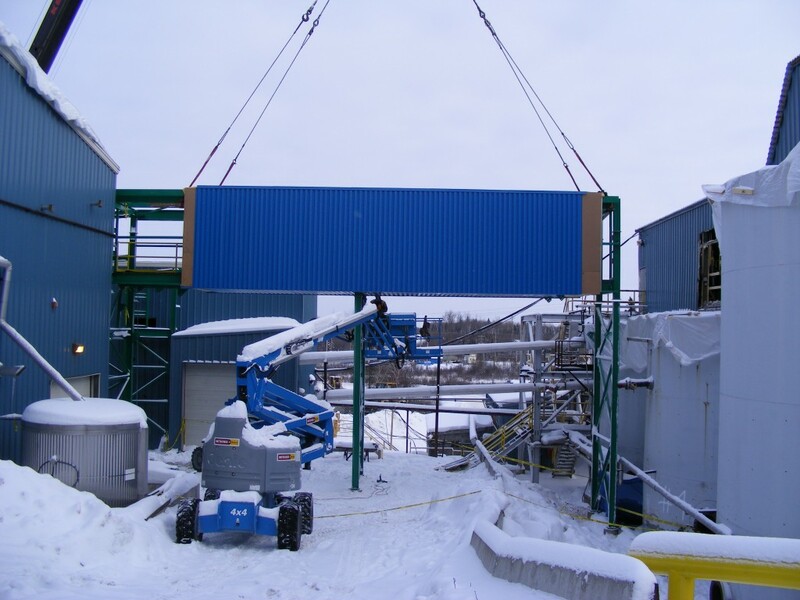 Pipe gallery – Gorf was contracted by Lakeshore Gold Corporation to fabricate and install a 72 foot long by 9 foot wide/tall pipe gallery. The pipe gallery was fabricated at our fabrication shop. 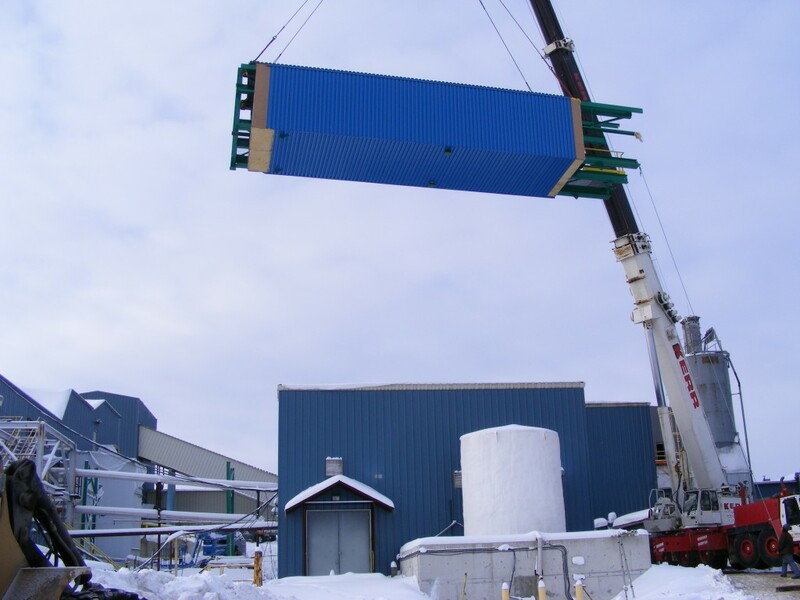 The pipe gallery was shipped from our shop and installed at the customer’s facility. All work was done by Gorf including the installation of the production piping inside the pipe gallery and the cladding on the outside of the gallery. Gorf used its Terrex crane to lift the pipe gallery into place. 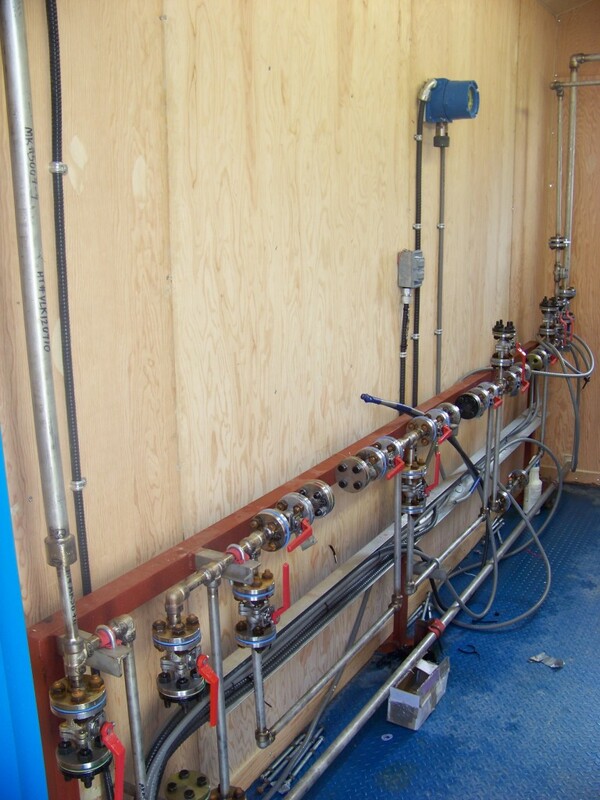 The piping that was installed was a combination of Victaulic piping, carbon steel piping, and stainless steel piping.